Experts at the ongoing International Conference on the Lake Chad on Wednesday called on stakeholders to seek out urgent measures to recharge the ground water to save it from depleting. The stakeholders, who spoke to the News Agency of Nigeria (NAN) in Abuja, described the situation as an emergency that should be accorded priority attention. 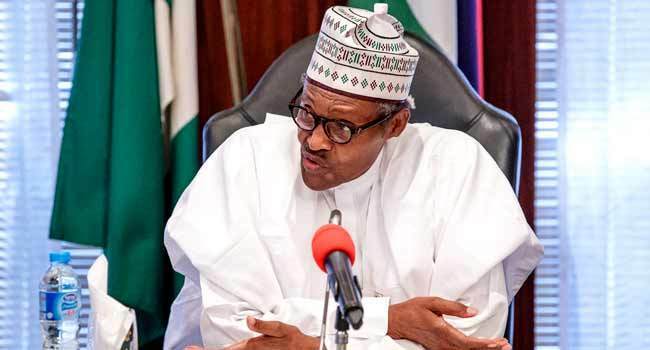 NAN reports that the two-day conference, which began on Feb. 26, at the Transcorp Hilton Hotel, Abuja, is being attended by President Muhammadu Buhari and some ministers. The conference has as its theme: “Saving the Lake Chad to revitalise the Basin’s ecosystem for sustainable livelihood, security and development’’. It is organised by the Federal Government of Nigeria and the Lake Chad Basin Commission (LCBC), with support of the United Nations Educational, Scientific and Cultural Organisation (UNESCO). Dr Sani Adamu from the Department of Geology, University of Maiduguri, said ground water depletion was real and evident in the extreme north. Adamu said that available data showed that ground water level in the area reduced from 0.7 meters in the urban centres to 0.3 meters in the rural areas annually. He said that the proposed inter-basin water transfer project of LCBC to restore the Lake within 30 years was not feasible. Adamu said the 30-year project was too long for the water to reach the Chad Basin, saying benefiting states could not wait for that long. The don called for an urgent alternative of water transfer from the Benue River or southern parts of the country to make the water transfer into the region happen very soon. Also speaking at the event, Mr Kashim Ali, President, Council for the Regulation of Engineering in Nigeria (COREN), said water transfer to the Lake Chad had been a decade-long topic. Ali said there was the need for all stakeholders to show more political will to ensure that the myriad of problems in the basin was resolved. “I think its more of the lack of political will, because in all these countries there are experts and they cannot say that they have not been told, so we are saying it now, create that platform for proper project design and implementation. Ali stressed the need for proper planning and the involvement of technical teams that would review all country reports for proper development of the region. A water engineer, Mr Guy Immega, while delivering a paper entitled; “Ubangi-Lake Chad Water Transfer Using Solar Option,’’ advocated the use of solar energy to recharge the drying Lake Chad Basin to promote livelihood for those in the region. According to him, the use of solar is a cost effective approach that can provide technical and social benefits to the benefiting countries. “The solar option is the best choice because, it is approximately 10 per cent of the cost of a hydroelectric dam, no flooding and displacement of villages and people. “No disruption of fisheries and agriculture, no significant Ubangi River water loss, renewed Lake Chad ecosystem will lead to increased agriculture, food security and economic opportunities,’’ Immega said. He added that using this option would enable an inter basin water transfer project that would not have direct consequences on the Democratic Republic of Congo and its neighboring countries. Immega noted that Lake Chad was once the most important freshwater ecosystem in the Sahel, providing sustenance to 30 million people living in Africa’s central sub-Sahara. NAN reports that The Lake Chad is about eight per cent of the size of Africa and is shared by Algeria, Cameroon, the Central African Republic, Chad, Libya, Nigeria, Niger and Sudan. In 1992, a decision was taken to develop a master plan for the Lake Chad Basin, which included the establishment of an environmentally sound management of the natural resources of the Lake Chad conventional basin. The feasibility study for the water transfer from the Congo Basin to the Lake Chad was the second priority project selected for implementation by the LCBC. Raising an estimated six million U.S. dollars for the pre-feasibility study of the Ubangi-Lake Chad Inter- Basin Water Transfer, became a problem until the government of Nigeria under President Olusegun Obasanjo provided support. The conduct of the feasibility study was awarded to a Canadian firm, CIMA International, and work commenced on the Oct. 13, 2009 for a period of 28 months.